A 9 foot and 6 inch Grand Imperial Concert Grand piano made in Austria in 2000. This particular piano was played by a Russian concert pianist for 4 years giving it a very warm tone with a huge dynamic range. It stuck out in a room full of world class pianos. It is a very romantic piano and sounds more like a Steinway than a factory tuned Bösendorfer. 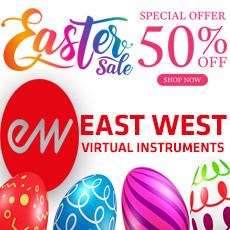 The Silver Edition allows users to purchase a single license for one Piano from the East West QL Pianos. Note that even though only the standard 88 piano notes are included in the Silver library, this is a 98-key piano; the resonance of those extra strings provides an extra rich bass sound.